Should men wear deodorant and women wear makeup to the gym? What do gym users expect of each other? What underwear is best for men and women to work out in? What are the do's and don'ts. This article reviews what the experts say are the common etiquette, behavior and hygiene issues to consider by both men and women. Many people start going to the gym, but get put off by what is termed 'gym anxiety'. Gyms can be quite intimidating especially when confronted by the poor etiquette, behavior and practices. It is often hard to complain or change things. Sometimes it is your fault because you don't know the routine. Beginners may simply not know what to do and may feel the silent tongue lashing and stares of condemnation from more experienced people at the gym. One bad apple can spoil the barrel and some people may take a long time getting over a bad experience or simply stop going. 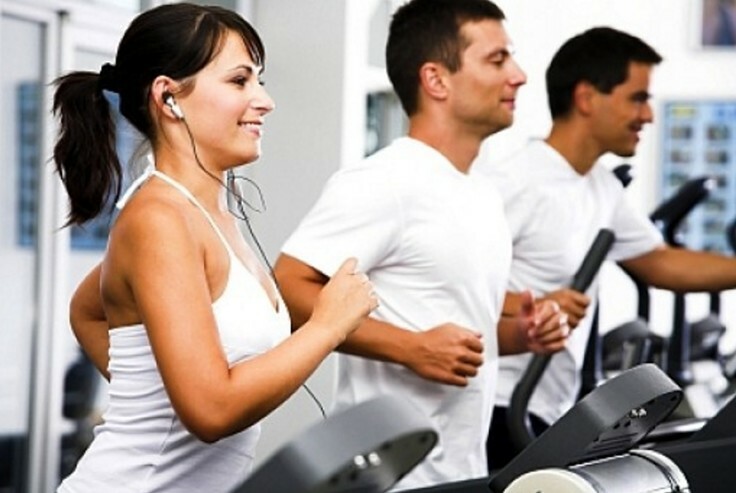 But don't despair knowing fitness center etiquette and gym etiquette and best practices can help you increase your enjoyment, performance and peace of mind all your gym sessions. There are some key rules to follow for sharing a workout space with others without conflict. There are also several things you can do to avoid breaking the rules and dealing with hygiene, clothing, appearance and behavior issues that will make your gym experience pleasant for everyone. Men, especially, should exercise with an underarm anti-antiperspirant not merely a deodorant. Sweating is required for cooling the body down but most of the odor arises from the armpits and deodorants won't stop the body odor. There are many underwear products available that sit close to the skin which can help minimize chaffing and improve your appearance if you are sensitive about it. These garments don't rub against the skin causing irritation. They can be worn under T-shirts, shorts and other clothes. They look good, and many people wear them in the gym. What type of underwear you wear is a personal preference. Most experts advise not to wear loose boxer shorts, which can be too revealing, get wet and cause chaffing, but many men like a sense of freedom. The tighter close fitting sports underwear is a better choice as it keeps drier and offers more support. Always go for good quality underwear that is going to provide support and comfort. Sweaty gym gear needs to be washed and dried and not worn twice and this can lead to unpleasant odors and chaffing. Choose supportive and figure-flattering fabrics to control any wobbly bits. A good quality, properly fitted and comfortable sports bra and well-made leggings will improve your appearance and make you feel better about yourself and to how you look. Choosing bright colors can help you be more confident and in control. Cover any open wounds or scrapes with ointment and a bandage to avoid spreading infection. Buy a fabulous sports watch so you can monitor your progress and keep a check on your heart rate. Also choose one of the many exercise apps for your smartphone to provide music and to track your training program. Good shoes are essential as poorly fitting and inferior shoes can damage the toe nails, cause blisters and general discomfort. Many people also make the mistake of not tying their shoelaces tightly enough, which allows the feet inside the shoes to move too much and this can cause damage. Make sure you bring your own towels, mat and other equipment to the gym otherwise there is a risk of getting infections and having to put up with foreign odors and worse. When exercising in make-up, the best advice is 'less is best'. Pores on your skin can be easily clogged by makeup and sweat causing ingrown hairs and pimples. If women feel they need something then use a light mineral foundation, a little mascara and some moisturizing lip balm and eye cream. A lot of heat is shed through the head and scalp and so hair products should be used sparingly. Don’t wear your jewelry as it is too easy to lose various items and they can cause injuries. Clean up when your finished - Always have a towel with you and use it to clean up the sweat and to ensure the equipment is clean and dry. Unfortunately you may need to use it at the start if a previous user did no clean up properly. Just be prepared to do it and don't let it put you off or interfere with your mood or determination. If you get something out, put it away when you have finished - Leaving bands, dumbbells, exercise balls and various other equipment on the floor is a tripping hazard for others as well as yourself and makes it harder for others to find the equipment if its not put back where they can find it. 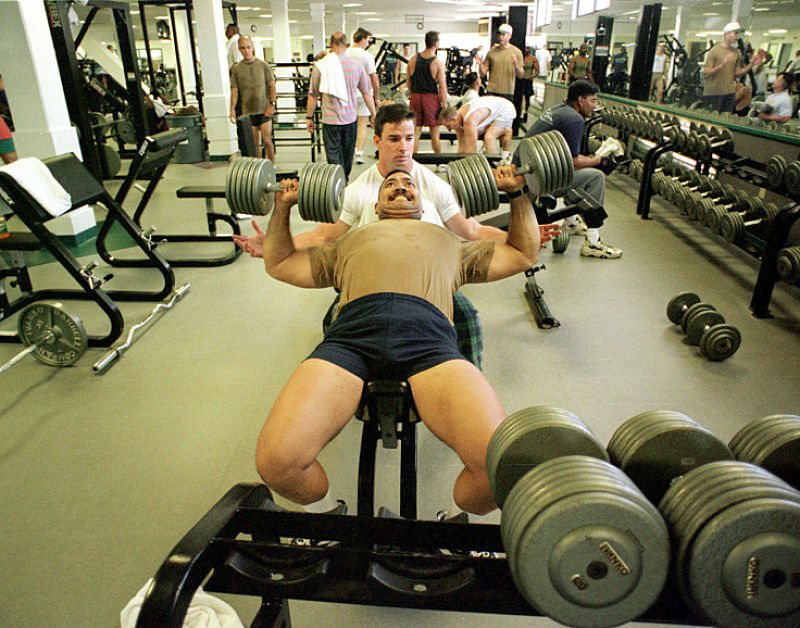 Be willing to share equipment - There is nothing worse than someone who hogs or hoards equipment for themselves. Don’t leave your towel on a machine and walk away expecting that the machine will still be available when you return. This can lead to conflict. Everyone has a right to use the equipment and trying to save it is the wrong thing to do except for a very short drinks break or a towel down. Be patience and don't rush other people - If someone is using a piece of equipment don't try to hurry them up. Make them aware that you want to use the equipment next, but do something else in the meantime. Always make sure you are on time - Many gyms run tight schedule of 30-minute time schedules for cardio machines during peak periods. If the gym is busy, don't be late nor keep others waiting by going overtime. If you need a really long cardio workout then go to the gym during the less busy times. Give Others Space - Make sure there is a minimum of 3 feet of space between equipment as this is often a legal requirement. Where working out try to avoid getting in the way of other people. Have Good Hygiene and be Respectful of Others - Avoid loud coughing, heavy body odor, or stinky farts while exercising. If you need to break wind, politely go to the restroom,. Always shower any apply a deodorant prior to exercising in public areas. if in doubt to err on the safe side and don't wear clothes that you think could offend others. Don’t Attempt To Solve any Conflicts Yourself - If you have a problem or you think that something may be starting it is best to get a trainer or gym employee to help mediate to calm the situation down. When the gym rules and gym etiquette guidelines are followed it makes it more enjoyable and relaxing for everyone.